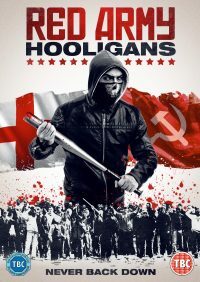 With the football World Cup in Russia coming up, Tony, the leader of a notorious London Hooligan firm, wants to start organising fights, but due to his recent head injury and nightmares over what happened, he is unsure if he can make it. The World Cup police have banned several groups including Tony’s firm and Vlad’s, the leader of a Russian Ultra firm. So, they decide to bring the World Cup to the UK with poker, boxing, Bare-knuckle fights, hooligan fights and of course no rules brutal football matches. Who will win the war between England and Russia and will Tony finally discover the truth behind his head injury. The film is released through 101 Films, 28th May 2018 and will be on DVD in UK retailers and on Digital download in iTunes, Sky Store, Amazon Prime, Playstation, Google Play.